A resume or CV is the first impression that a recruiter receives when selecting who will fill the vacancy of the company. Therefore, your resume has to be unique and striking to capture the attention of the recruiter. Downloading original templates to create a resume is often a difficult job and take some time. That's why we have the best sites to download free resume samples, safely and reliably. With Uptowork you can create modern and professional resumes easily and quickly. 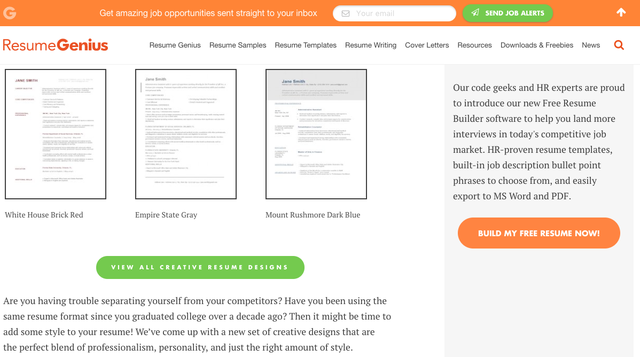 Uptowork's resume maker offers you samples in 400 colors. Adapt the designs to any resume format according to your professional profile. 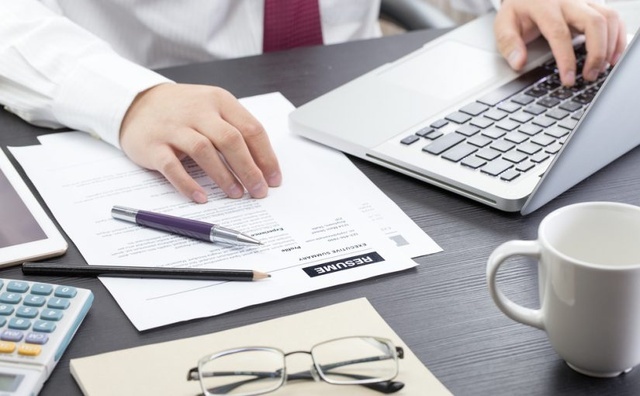 Fill your personal information, skills and job experiences into these accessible templates to create a professional resume. Make a good impression of you. 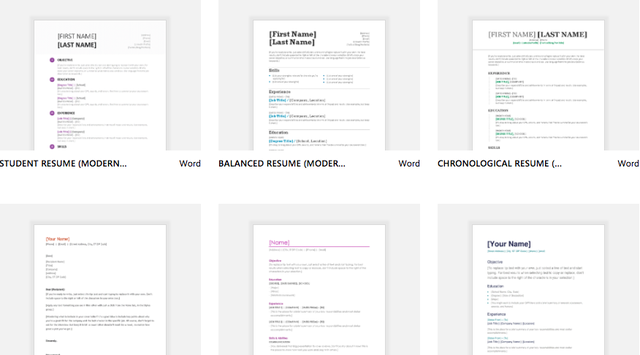 Download free samples and template of resumes in Word format. Resume Genius has free resume templates selected by professionals. Choose one template according to you preferences and get started. Find a template that suits your work experience and fill it with you professional information. 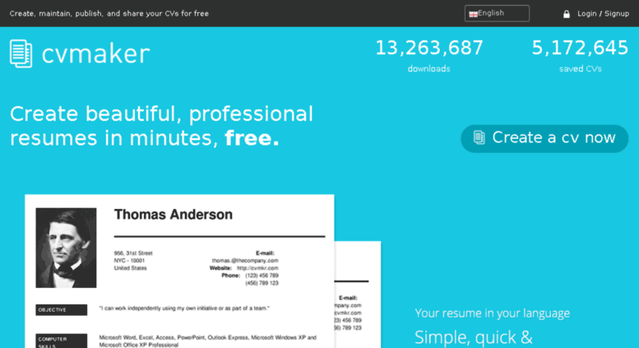 This site is one of the most popular to download original resume templates. It's templates have obtained good results at the time of being tested that's why you will have greater chances of getting that job you are looking for. 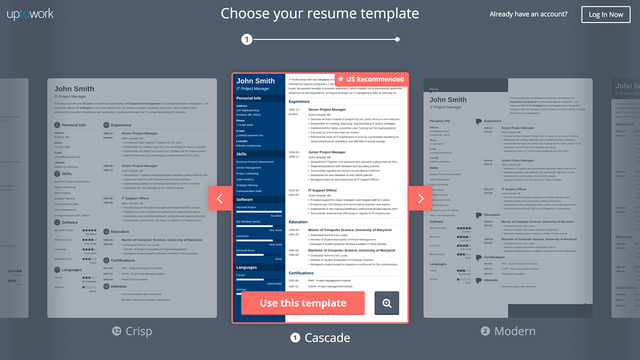 Here you can find hundreds of templates to design you resume as an expert, it's free.